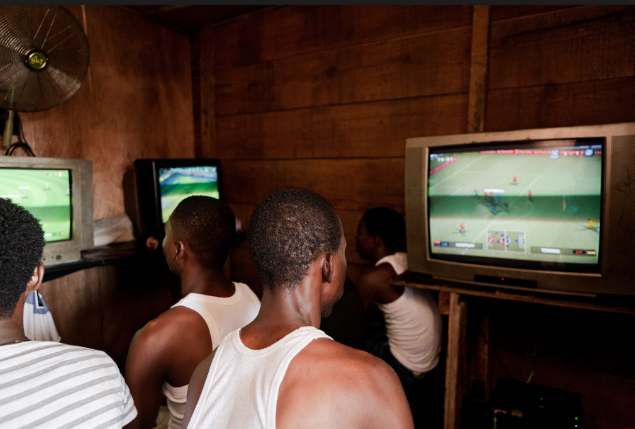 If you look closely in any relatively populated area you would find out there is a play station shop where mostly young people gather to play games, but if you live in a populated area and you notice there is no one operating a video game shop, then thank your stars because it is a goldmine waiting to be tapped. Running a Video game shop is a very lucrative business and its quite easy to start, so all you need to do right now is to pay attention on this article as I will be telling you all you need to set up this business. This write-up will tell you how much you will need to start the business and the profit you are likely to make. Depending on the area, video game shops popularly called PS2 shops can give you a steady income flow from Monday to Sunday if only you are serious about it. My friend whom we both graduated together has been making a living out of this business; he’s been making nothing less than three thousand naira per day (N3000). Now calculate 3000*30 days= N90,000. Now ask yourself how many graduates earn this amount in the present day Nigeria where there are no jobs anywhere. I recently relocated to Ijebu Ode and I reside in a very popular area where no one operates a video game shop, guess what? I am setting it up already. Now let’s talk about what you need to set up a video game shop, please there is no need reading this article if you are not going to take these advice seriously. I love my readers and always advise them on the best decisions possible. The location where you set up your video game shop should be taken into serious consideration as it is what would determine the profit you make. Areas where you have universities, polytechnics, sports viewing centers should be given utmost consideration. Play station shops run successfully when you locate them in semi-rural/urban areas. After you have found a suitable location, get a good shop that is well ventilated. For instance Ijebu Ode a medium sized shop goes for N40,000 yearly, that’s not too much if you ask me (that’s just about $100). Please, if you are just entering into this business do not go for a playstation 3 as it is very difficult to maintain and needs steady power supply. Go for a playstation 2 and believe me when I say people will patronize your business when you provide the games they want like pro evolution soccer, grand theft auto, lord of the rings etc. your playstation 2 goes for N30,000. Get one for a start then you can purchase another when your customers are becoming much. Get a 32 inch LCD or LED television, I advice you go for a fairly used one as this would be a lot cheaper. You can get this for N40,000 at any reliable shop. Now you need to purchase a fan and other electrical accessories like socket extension that would cost like another N10,000. Now putting together the total expenditure it amounts to N150,000, but I assure you that within two months you will get back your money if you are in a good location and you treat your customers very well. Please note that to start this business you need between N150,000 and N160,000. Monthly running cost should not be more than N15,000. Likely profit: 50% to 60% which is about N75,000 to N85,000 monthly. Potential customers: students, workers who want to relax when they return from work. I hope I have solved some of the questions you have concerning this business? If I have, please share! !